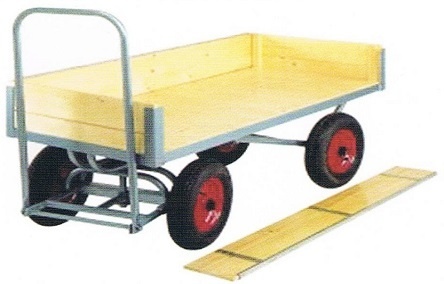 The Centurion 4 wheel Traditional Staff Trolley is the ideal garden centre trolley. 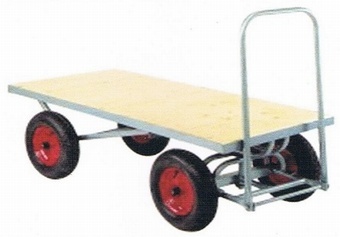 Available in two sizes with or without sides, the choice is yours with this great value popular 4 wheel trolley range. Flat platform with drop in sides or with hinged sides. Steel centre pneumatic wheels - 40cm/16" with roller bearing. Solid rubber wheels all models. Powder Coated Frame with Wooden top.